It doesn’t take a very big space for a mouse or rat to gain entry into your home. You may think they can’t fit, but we assure you they can — mice can fit through an opening as small as a dime! If you see signs of rodent activity in your home, or wish to forestall future invasion, it’s time to give Dave’s Pest Service a call. Our rodent control team will take care of rodents who have taken up residence and seal any openings that could provide entry. Rodents are a big pest that come out and cause trouble most often in the fall weather. They are looking for a place to get a free meal and also a place to nest in the cooler months. The best place is usually a house where food crumbs are in abundance, water is freely available and places to nest are endless. Rodents are a pest that are a real nuisance that can also cause damage to your home as well as aggravate allergies and asthma. When the temperatures outside drop, mice and other rodents will begin to search for refuge and your home is a major target for a new nest. Mice are small and have the ability to squeeze through a hole that is as tiny as a dime. Mice that are in search of warmth, food and shelter will find a way to gain access into your home or business if you do not take the appropriate steps to keep the mice away. 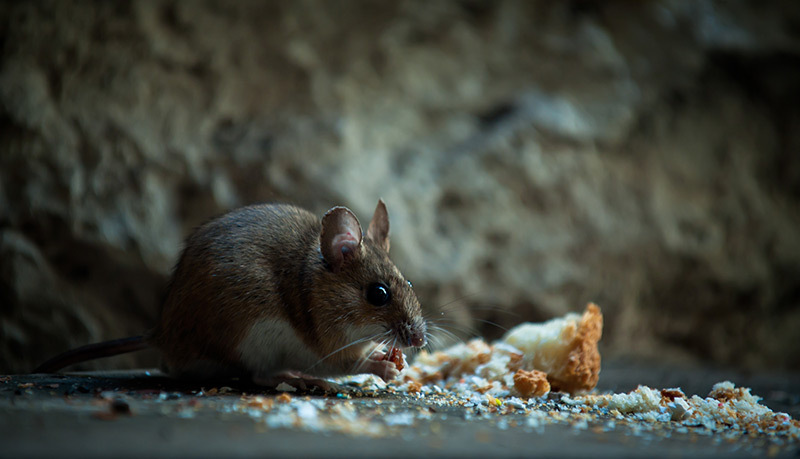 When it comes to rodent control, Dave’s Pest Control has the safest and most effective solutions for your home or business. If you are dealing rodents in your home or business, call Dave’s Pest Control today to begin the removal process now. “Dave’s Pest Control has taken care of our home through the years and provided us with the friendliest, professional, and knowledgeable service we could ask for!"